Yankee Jonathan Loaisiga, in his third major league start, improved to 2-0 as he threw 5 1/3 shutout innings, allowing just one hit and two walks, with eight strikeouts. The Yankees got on the board in the top of the second when Gleyber Torres got an RBI double to make it 1`-0. Aaron Judge homered in the top of the sixth to make it 2-0, and Giancarlo Stanton gave them some insurance in the eighth when his two-run single made it 4-1. Philadelphia's Maikel Franco homered in the ninth off Yankee closer Aroldis Chapman to make it 4-2, but Chapman recovered to earn his 23rd save of the season. The Yankees' 76th game in 1998 was also against Philadelphia, and the Yankees won it 9-2 at Yankee Stadium. David Cone threw a complete game in this one, as he allowed two runs on five hits and no walks, with 11 strikeouts, to improve to 11-2. The Yankees got on the board in the second inning against Phillies starter Carlton Loewer, as Darryl Strawberry led off the second inning with a home run, followed by a Chad Curtis RBI single, a Joe Girardi RBI groundout, and a Derek Jeter RBI single to make it 4-0. They were at it again in the fourth, starting with an RBI single from Strawberry, followed by a Tim Raines RBI single to make it 6-0. 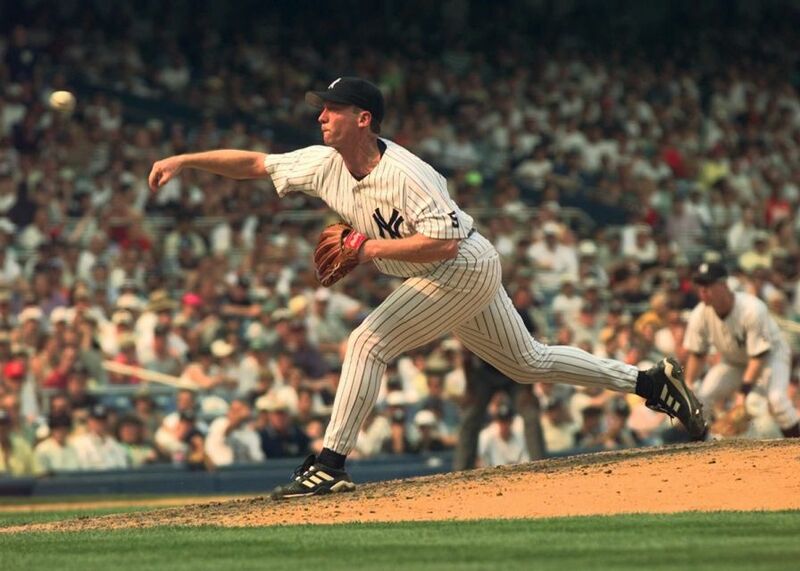 That was it for Loewer, and Philadelphia then turned to Toby Borland, who walked Scott Brosius and Girardi with the bases loaded to force in two runs, and then threw a while pitch to score Curtis, which made it 9-0. Where they stand: The 2018 Yankees (51-25) remain five games off the pace of the 1998 team, which was 56-30 through 76 games.